Connecting the next generation of innovators with Connecticut manufacturers. 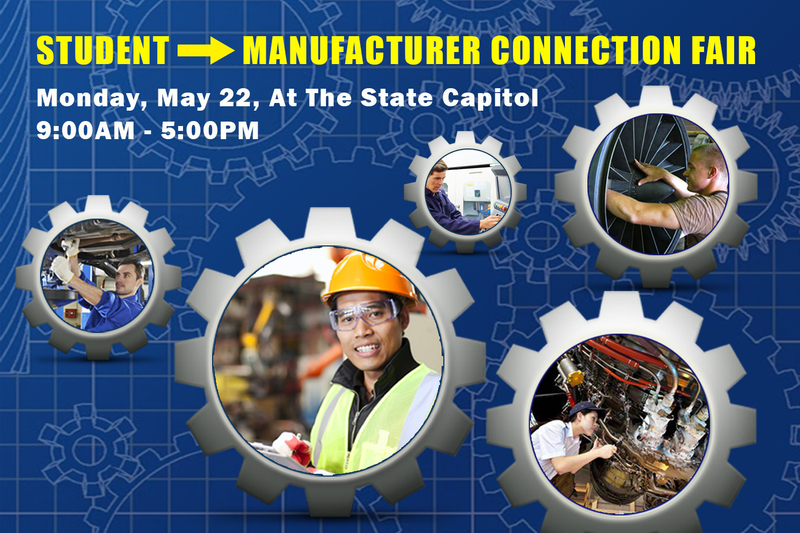 Students from Connecticut’s technical high schools and college programs will come throughout the day to speak to local manufacturers who will have booths set up throughout the first floor of the Capitol. The fair will provide manufacturers an opportunity to showcase their work and students a chance to explore future career paths! Students from non-technical Connecticut high schools are invited to attend from 3:00PM to 5:00PM, and are encouraged to come with their parents. Please click the button above to register. Connecticut-based manufacturers can register for a booth by calling Danielle Palladino at 860-240-1479 or emailing Danielle.Palladino@cga.ct.gov. Directions to the Capitol and parking information are available here.